Whether you want to be a spectator or a participant, Huntington has a wide array of activities for the sports and outdoor enthusiasts! Check out a Thundering Herd athletic event, romp and play in our award-winning parks, cool down in one of our area pools or take a jog on our pedestrian trail system! The mission of the A.D. Lewis Center is to provide a safe place for recreation and education. The center has an inside and outside basketball court, a game room that contains a pool table, a ping pong table, an air hockey table, a foosball table, and a utility room that can be utilized for meetings, crafts and showing movies. In the warm months, the playground and public pool are accessible for the community. Embark on an adventure that is out of this world! Travel to the East end of Huntington to visit Altizer Park. Your kids can take a trip to space in the Bell X-1, walk across the galaxy surface to bounce weightlessly on the mini trampoline or climb the space pod and swing to the stars. Altizer Park has a great outer-space themed playground, a walking track with outdoor exercise stations as well as a basketball court, picnic shelter and softball field. This park creates an experience for kids that is both refreshing and entertaining. Cookout and enjoy the shade of the shelter (accommodates 55-60 people) Kids can have fun in the sun while being cooled off by the sprayground, slide down the mythical dragon, climb to the top of the rock and put the wind in your hair while taking a swing. The Barboursville Park spreads over 750 acres and boasts 14 soccer fields, 3 baseball fields, tennis courts, basketball courts, volleyball courts, little league baseball fields, little league football field, fishing lake and ponds, picnic areas, an amphiteater, walking trails, horse show ring, and an archery range. The Park also features nine shelters that are available for reservation for special events. 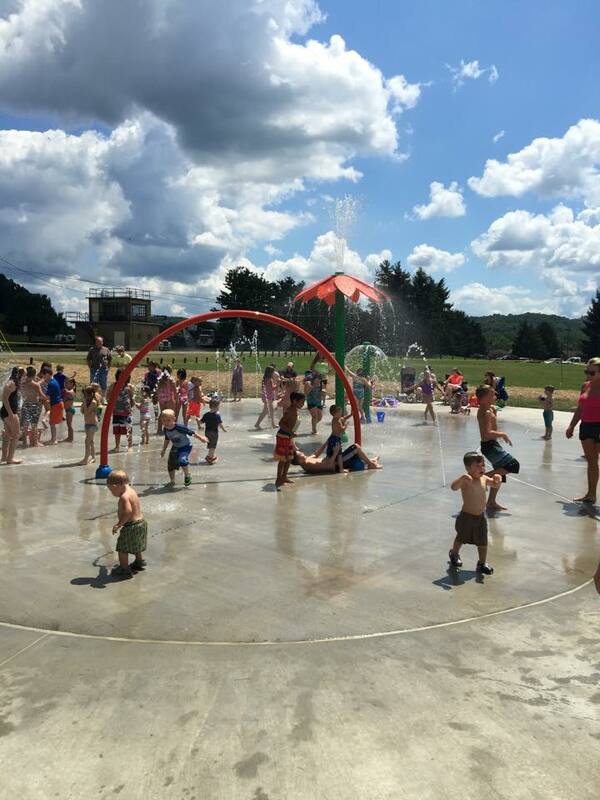 Located near the basketball courts in Barboursville Park, the Splash Park has its own recyclable water system, along with a filtration system to clean it. Bring the kids down to cool off! Beech Fork State Park offers 3,144 acres of some of the best recreation experience in the southwestern section of West Virginia. Beech Fork State Park is located 12 miles south of Huntington and Barboursville. Developed by the U.S. Army Corps of Engineers in the mid 1970's, Beech Fork Lake has owned up to its popularity for recreation boating, fishing and wildlife watching experiences. Spring wildflowers are a common sight to hikers and cyclists. Fishing is one of the most common activities that visitors may enjoy. We believe cycling changes the way people think about and interact with their environment. Having the opportunity to get a free rental bike allows people to fall in love with biking all over again. BikeSurf Huntington is a community program that rents bicycles on a trust based system and you pay what you can for the rental. Go to www.bikesurf.org and select Huntington WVa from the location drop down menu, select a bike to rent, and then we will email you the details. 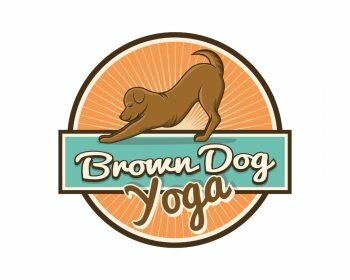 Brown Dog Yoga is located in the heart of Huntington and provides hatha yoga instruction to those seeking peace and well-being on every level. Hatha yoga is an “eclectic” style of yoga, meaning that the postures or “asanas” are a large part of the class, but students will also learn breathing and meditation techniques, as well as lifestyle practices to aid in stress management. Home of Thundering Herd basketball. Complete multipurpose physical education facility with adjacent track and field. Set in a sylvan setting seven miles west of downtown Huntington, this camp features a picturesque lodge that hosts parties, workshops and reunions. Overnight and day accommodations are available upon reservation. This beautiful 18-hole facility in Lavalette, WV, just outside Huntington, features 6469 yards of golf from the Championship tees for a par of 70. The course rating is 69.5, with a slope rating of 119. The Silo has a variety of holes with 8 lakes, a par 3 with a drop of over 150 feet, and 3 challenging Par 5's. We are excited to announce the course is under new ownership and major improvements are being made everyday! Dreamland Pool first opened in 1926 and the original construction included a three-story pavilion. The top floor of the pavilion included a dance floor, where many notable Big Bands played though the 1930s and 1940s.The pool itself measures 125 feet by 250 feet, and was once known as the largest public swimming pool east of the Mississippi River. Admission is $4 - Children under 3 free. East Lynn Lake is a beloved outdoor recreation area for water sports and hiking. East Lynn Lake Shelters are perfect for gathering friends and family for a fun-filled day of picnicking. Choose from four lakeside shelters along the northern tip of the lake, a 1,005-acre lake just 35 miles south of Huntington, WV. The 18-hole course at the The Esquire Country Club facility in Barboursville, WV features 6,905 yards of golf from the longest tees for a par of 72. This medium-length layout features 4 sets of teeboxes for the enjoyment of golfers of all skill levels. The course rating is 72.2 and it has a slope rating of 116 on Greg Norman Bermuda grass. The Huntington area takes pride in more than 750 acres of park land owned and operated by the Greater Huntington Park and Recreation District. Park District offices are located at #1 Heritage Station, 11th Street and Veterans Memorial Blvd. Harris Riverfront Park is Huntington's premier waterfront park! The park has a waterfront amphitheater used for numerous events, concerts, and is available to rent for a events. A new playground was added in 2014, and a section of the Paul Ambrose Trail for Health leads walkers to an outdoor exercise area. The Chuck Ripper Trail provides education, information, and beautiful art along the river. This park has free WiFi available to park patrons. Welcome to the best Camping in West Virginia. Yes, we're open ALL YEAR for RV’ers, campers, and tenters to enjoy our full hook-up sites. We have three new cabins and a nice lodge too! Drop in for an overnight stay or plan your vacation for several days. Where southern hospitality is still in fashion and every camper is treated like a guest. You’ll enjoy our beautiful campground and appreciate our friendly staff. Easy access from I-64, three miles west of Milton exit 28 or five miles east of Barboursville exit 20. The Huntington Y Kennedy Center is located just north of Huntington on Route 2 and provides eighty acres of active outdoor opportunities. View the facility and one might see everything from a pool birthday party, to over a thousand kids playing in the youth soccer league, to kids fishing during a summer day camp or learning basic fundamentals during a summer sports camp. This scenic property on the Ohio River is thriving with outdoor activities for our members and our community to enjoy. The Y is dedicated to improving the nation’s health and well-being. At the Y of Huntington, we strive to accomplish this primary goal by providing outstanding service, facilities, and programs. We furnish modern facilities that accommodate all of the fitness, wellness, and family needs of our community. Our extensive list of programs varies in their focus and provides additional support and guidance in building healthy minds, bodies, and spirits. We survive by the motto “Our members are the life of our Y.” Our membership is available to individuals of any gender, race, ethnicity, age, cultural or religious background, physical ability, or financial status, and no child will ever be denied the privilege of participation due to financial difficulties. 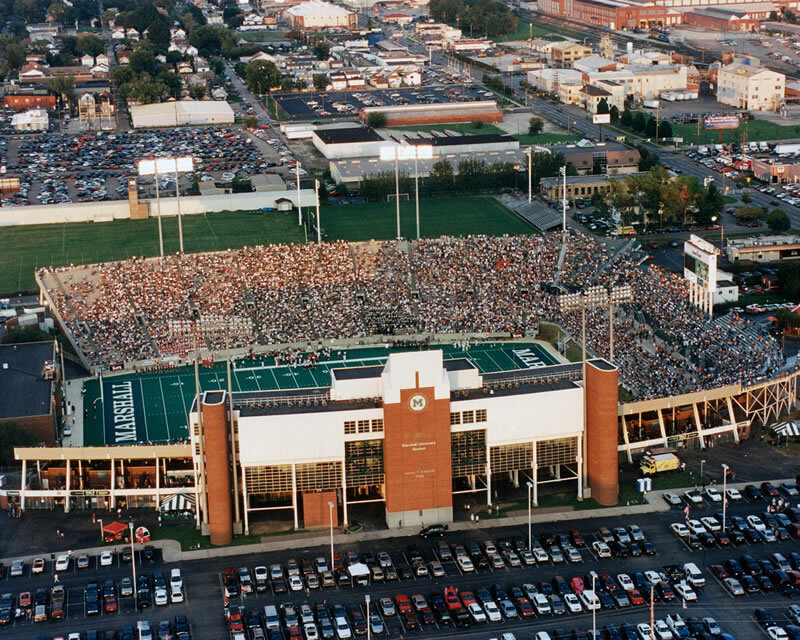 Joan C. Edwards Stadium is a football stadium located on the campus of Marshall University. It can hold 38,019 spectators and includes twenty deluxe, indoor suites, 300 wheelchair-accessible seating, a state-of-the-art press-box, fourteen concession areas, and sixteen separate restrooms. Nestled along the banks of the Ohio River at 27th Street is a great little neighborhood park named after retired Director Jim McClelland, who served this community for 31 years. The playground is modeled after a turn of the century stern-wheeler. McClelland Park also has a great basketball court and 2 tennis courts. Bring the family to enjoy a picnic under the gazebo, along the river, or just enjoy the walking path and scenery! The Veterans Memorial Arch is dedicated to those lost in World War I. Memorial Park, located west of the Veterans Memorial Arch, has an array of activities including outdoor exercise equipment and a kids play area complete with a tilted sky rider, zip line and swings. The outdoor exercise equipment makes the walk even more physical enabling you to stretch or complete a full workout! Follow the walking path westward to the picnic shelter, or take the Paul Ambrose Trail For Health connector to Harveytown Park. The Paul Ambrose Trail for Health (PATH) is a growing bicycle and pedestrian trail system for the City of Huntington. The namesake, Dr. Paul Ambrose, was a promising young physician who was killed at the Pentagon in the terrorist attacks on September 11, 2001. Dr. Ambrose was dedicated to family health and preventative medicine to fight obesity, and the trail system is a way for his efforts to continue to have an impact in Huntington. West Virginia’s premiere municipal park, this 70 acre gem, nestled among some of Huntington’s finer homes, contains a walking/jogging path, award winning children’s playground, tennis courts, award winning rose garden, outdoor amphitheater, dog park and 39 species of trees. Ten lighted hard-surface courts as well as indoor courts. The 18-hole course at the Riviera Country Club facility in Lesage features 5,766 yards of golf from the longest tees for a par of 70. The course rating is 66.9 and it has a slope rating of 108. Rotary Park is one of Huntington's best-kept secrets. Rotary Park has over a hundred acres of beautiful hillsides, mountain vistas, hiking and biking trails, 2 disc golf courses, 2 softball fields, a basketball court, and a brand new playground with 2 picnic shelters! Drive to the trail-head, park your car, and explore the great walking and hiking trails that lead to an observation tower and an overlook with views of Huntington that are second to none. Rotary Park is also becoming one of Huntington's premier bicycling locations, as mountain bike trails are being developed! The 2 Disc Golf courses at Rotary Park were designed by World Champion Disc Golfer, and renowned course designer Johnny Sias. Small but beautiful park offering a playground, benches, and picnic tables along with a basketball court and another half court. Originally constructed as a community center, the lodge at St. Cloud's is now the site for many different types of gatherings. From weddings to meetings to family reunions, the lodge has the amenities needed to make events easy. Outside, a great playground area, basketball court, and baseball fields can amuse the kids for hours. The Park is equipped with a paved walking track that surrounds the entire facility and is part of PATH, Paul Ambrose Trail For Health. The PATH is handicap accessible, and is a great walk along the banks of the creek as it winds throughout the complex. Whether you're a beginner or a seasoned yogi, Studio 8’s trained instructors are will assist you in effectively uniting the breath & body. 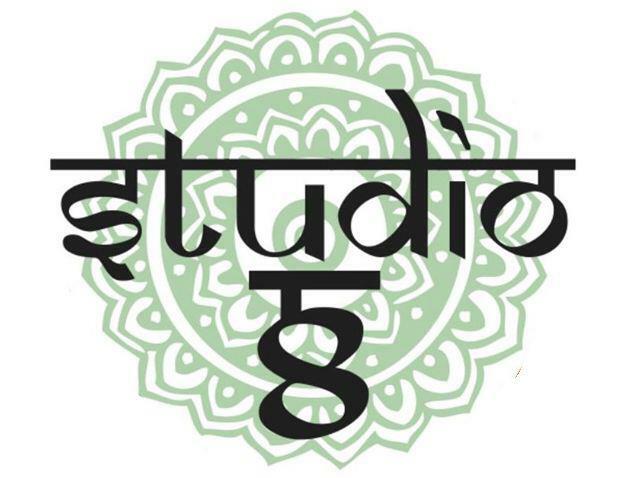 Studio 8 offers classes on meditation, mindfulness, heart coaching, Pilates, yoga dance and tai chi, as well as Reiki energy therapy and a variety of massage therapy services. They also offer a variety of kids classes! Sugarwood Golf Club is located in Lavalette just six miles south of Huntington. Sugarwood offers a variety of tees ranging from 5,186 to 6,710 yards and is ranked as one of the best public golf courses in the state every year. Sugarwood has an indoor club fitting and teaching studio. The studio provides top of the line technology to improve your game. It offers a launch monitor, simulator, fitting systems and the V1 video teaching system. The V1’s 210 frame per second high speed cameras allow us to evaluate your swing in slow motion to identify areas of improvement. Offering daily classes designed to lead riders through a transformational fitness experience for the mind, body, and spirit. Westmoreland Park on Vernon Street in West Huntington is the perfect place to enjoy a game of tennis or shoot some hoops on the full-sized basketball court. Park amenities include a playground structure, tennis and basketball courts, and a picnic shelter. The Park is surrounded with trees and there's plenty of shade in the Summer time to cool you off!